The third “world” of the game; The Kitchen. 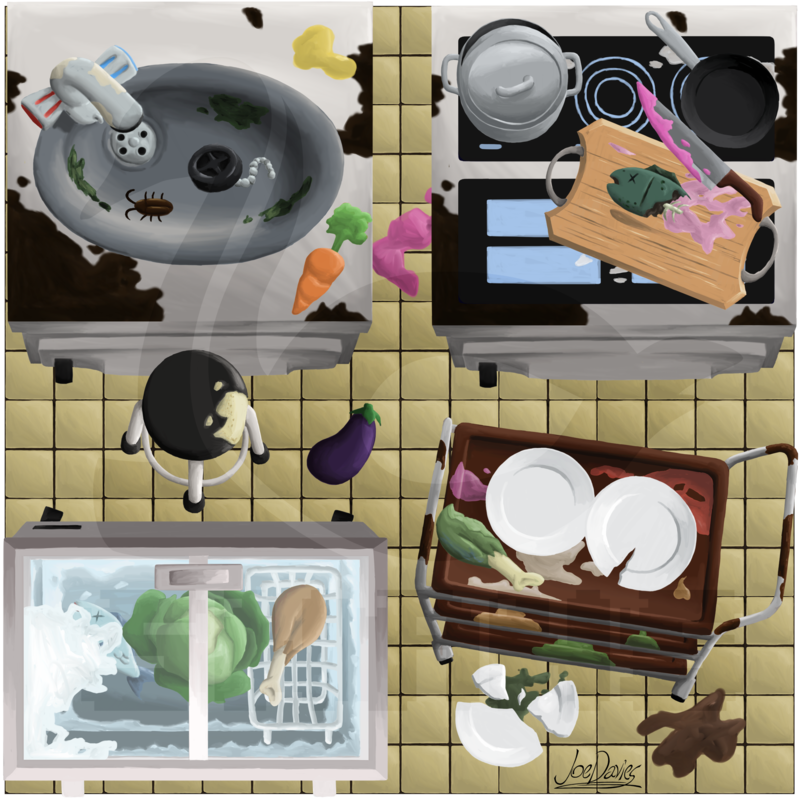 This one required probably the second largest amount of assets for it, because since it’s a kitchen, it should be rife with spoiled foodstuffs and messy splotches. But since this is a zombie apocalypse, I also wanted to make this place look as unclean as possible, to show how far from a homely environment Iggy is in right now. This included adding in rotten food and rust and splotches everywhere. Iggy would not want to eat here anytime soon.